Anri Instruments & Controls presents the new Hitech GIR5500 biogas monitoring systems designed for various environmental monitoring applications. The GIR5500 joins Anri’s comprehensive range of fixed and portable biogas analysers. The ATEX zone 2 certified GIR5500 biogas analysers join the Hitech GIR5000 range of analysers for use in applications such as digester gas analysis, landfill monitoring, flare stack monitoring, CDM verification (Clean Development Mechanism), Gas to Grid as well as CHP engine protection and efficiency monitoring among others. The GIR5500 biogas analysers are designed for continuous measurement of greenhouse gases such as methane and carbon dioxide using NDIR sensors in addition to oxygen and hydrogen sulphide by long-life electrochemical sensors. 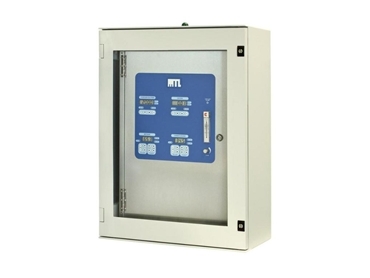 Supplied in a robust, weather-proof IP54 GRP enclosure, the GIR5500 gas monitoring systems feature standard outputs and alarm functions along with optional wireless communications.